Woo hoo! I love Christmas time! 2 years ago, I celebrated Christmas early by getting myself a new helmet – the Kabuto Ibuki modular. 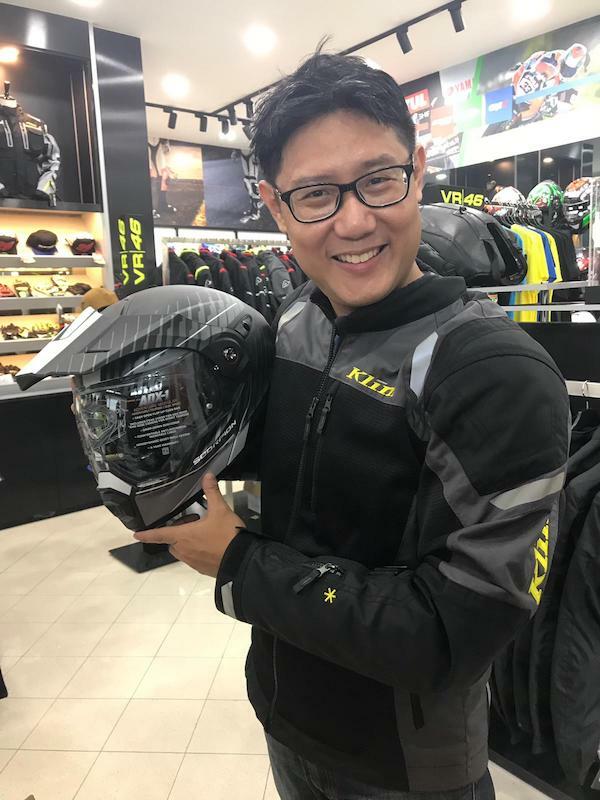 This year, I got myself a spanking new Scorpion Exo ADX-1 Adventure Modular helmet! Picking up the Scorpion Exo ADX-1 from Regina Specialities! Regina Specialities was having a sale, and so I took advantage of it. At $308 for the Scorpion Exo ADX-1 Adventure Modular helmet – it’s a bargain! I’ve grown to like flip-up’s – they’re super convenient when on a tour. And with my recent GS’es acquisition (I just realised I bought TWO BMW GS’es this year! ), I was on the look out for an adventure-styled helmet – essentially a helmet with a peak. A 5 year warranty from Scorpion? Wow! Hey! My goggles fit too! 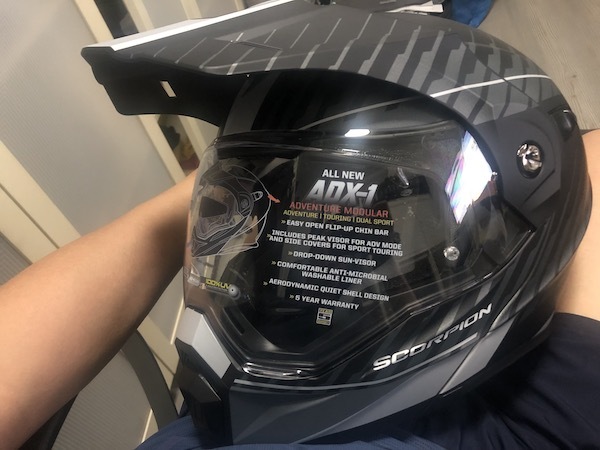 The Scorpion ADX-1 is a truly versatile helmet. Straight from the box, it’s a dual-sport or an adventure helmet – characterised by the peak. The peak’s great for shielding from all sorts of stuff – from the low-hanging sun’s glare to roost such as stones and mud fling from the front dirt rider. Personally, I don’t really care too much for it. And then there is the flip-up mechanism. The buttery smooth operation makes this feels like a pretty premium helmet. The flip-up mechanism definitely feels smoother and more secure than my aging Ibuki. The Scorpion ADX-1 looks pretty cool with the peak removed too! 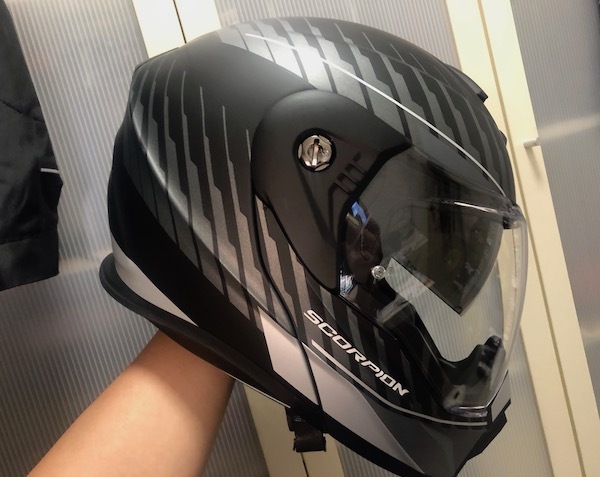 Scorpion up’ed the game by making the peak removable and by including the side plastic cover panel that converts the ADX-1 into a street touring helmet. Well done Scorpion! As if that’s not enough value, Scorpion threw in an anti-fog Pinlock insert with the ADX-1 too! All these for $308? That’s a bargain! 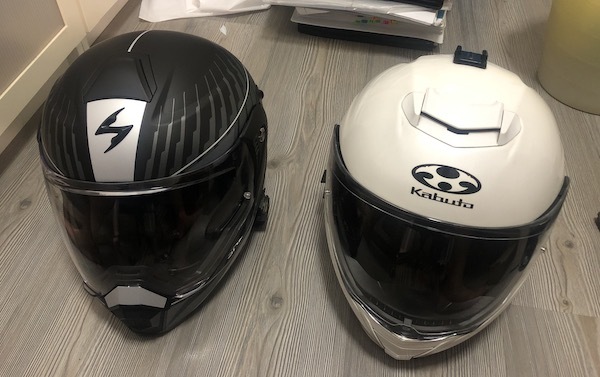 The old and the new – the Scorpion Exo ADX-1 and the Kabuto Ibuki modular / flip-up helmets side-by-side. 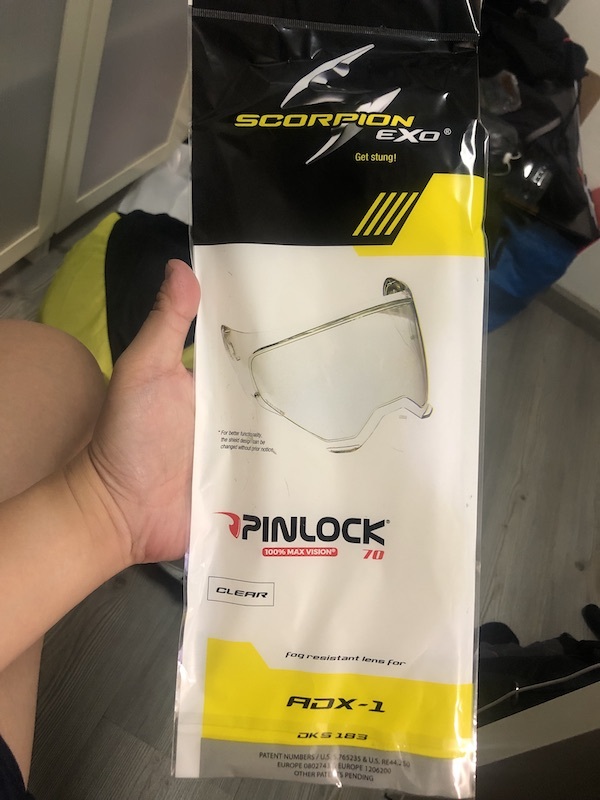 One thing about sizing – it seem that Scorpion underestimated the helmet size. 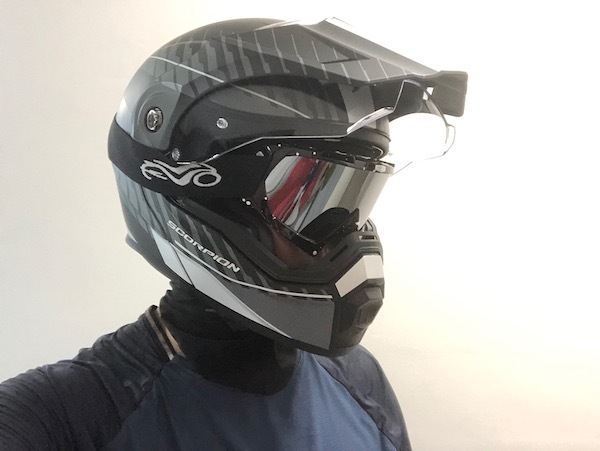 My head circumference is a 59-60cm, and according to Scorpion (and most other helmet manufacturers) I’m a size L. But L was too much of a tight fit, and I ended up sizing up a size to XL. According to Xavier from Regina Specialities, most of the customers who purchased an ADX-1 from him ended up sizing up too. I’ve heard so much good things about this helmet! Can’t wait to take the Scorpion Exo ADX-1 Adventure Modular helmet out on my upcoming big trip! ← Big GS Meets Little GS – The BMW G650GS Sertao ← The BMW R1200GS is one HELLUVA TOUGH BEAST!